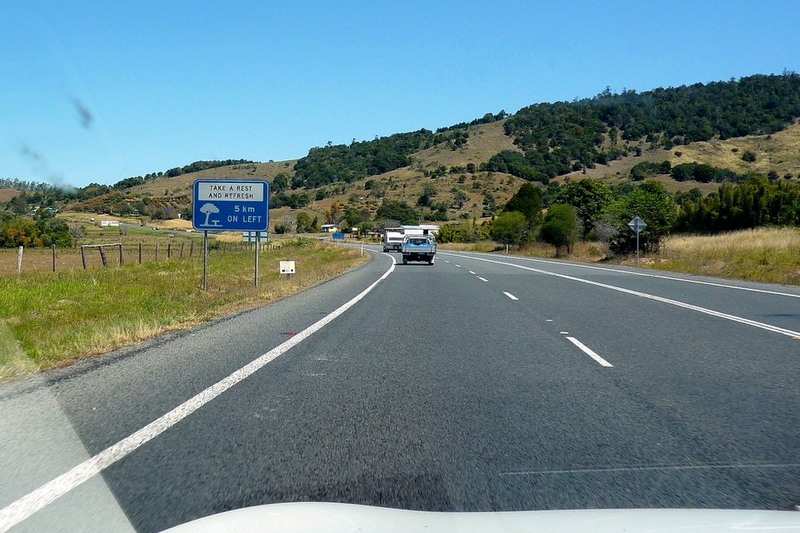 I never expected to enjoy driving in Australia as much as I do – although I do relatively little of it. Our 2 1/2 year old car has little more than 17,000 kilometers on it. One of the reasons is that within the city we make use of the excellent public transportation system (mostly the ferry) when going out to dinner or into the city. The kilometers are put on the car when we drive to the ocean or some other location outside of the city or a location in the city outside the city core. So, what do I enjoy about driving here? 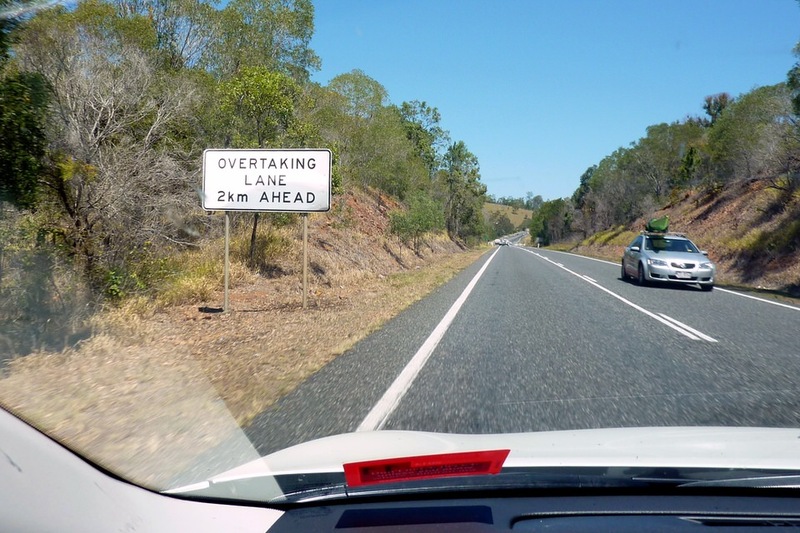 The roads are clearly marked – turning lanes and all. I guess if you never have to scrape the road clear of ice and snow or throw down salty gravel, your road markings remain clear for a long time. For someone like me, who had to adapt to driving on the opposite side of the road, these road markings were much appreciated. I rarely had to guess where to go when turning. Turning lights are for turning. At intersections you turn right or left only on a turning signal light. The rest of the time you wait. This is remarkably relaxing. Speeding is rare. 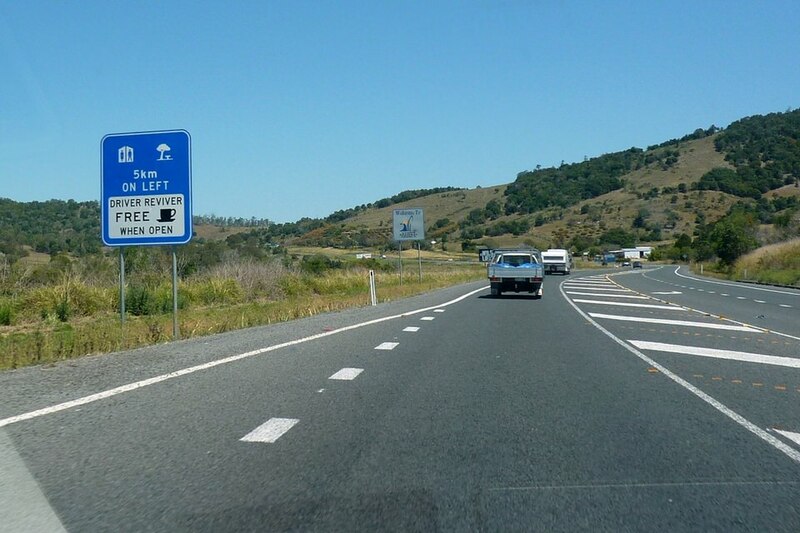 Highways have cameras so most people remain close to the speed limit, even when passing. This too, is remarkably relaxing. I have a GPS. I had never used one before, and although sometimes confusingly aggravating, it has been helpful to get me out of some frustrating locations. U-turns are generally permitted and when not permitted there is a sign to say that. 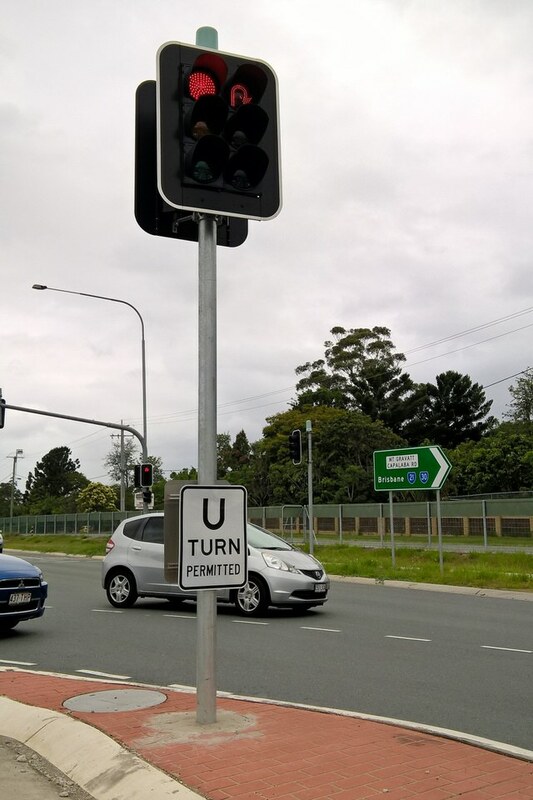 I readily make U-turns whenever necessary like when I want to go the opposite direction , even when not specifically marked, because, as I said, it is permitted. 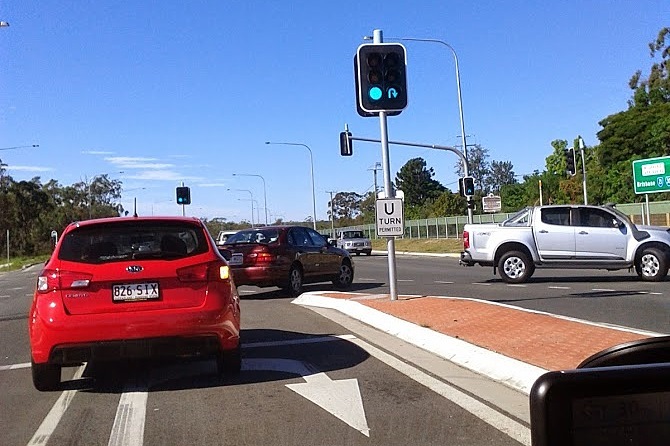 Sometimes there are specific U-turn lanes and U-turn signal lights, such as the ones shown below. This seems like a good spot to show you what car we were driving during our time here in Australia. 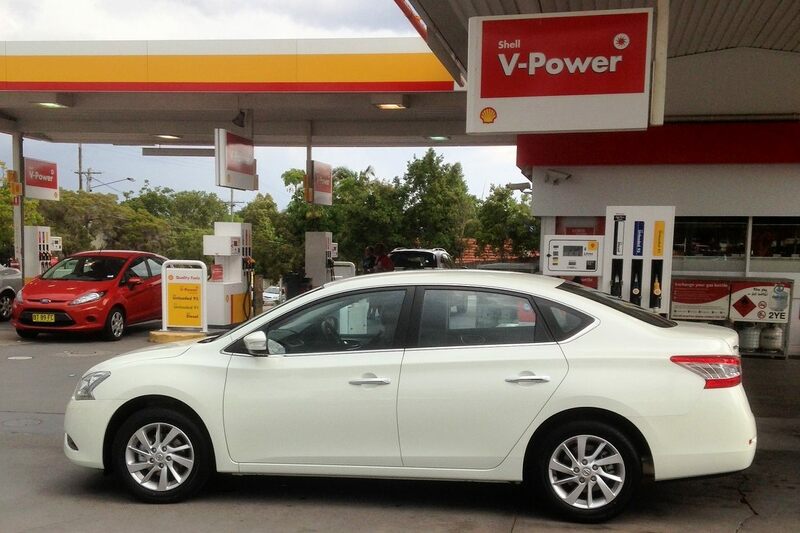 It has been a good little car and we got great service at the dealership when we took it in for regular maintenance. 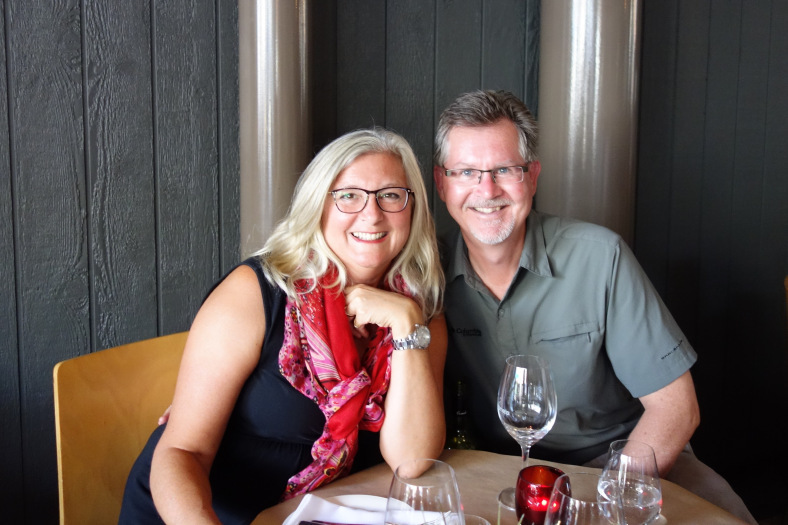 When I first arrived here, we knew that we needed a car, but I was a little intimated by having to drive on the opposite side of the road and also trying to learn any new road laws (only 1 or 2 differences), that we bought the first car that we took for a test drive. Actually it wasn’t only that, but the signal indicators were on the opposite side of the wheel and looking to the left to look into the rear view mirror was weird, too. The signal indicators took the longest to adapt to and I often turned on the wiper blades instead of the indicator lights. I’m not sure that I won’t cry the first time I fill up my 4×4 truck when I am back in Canada. 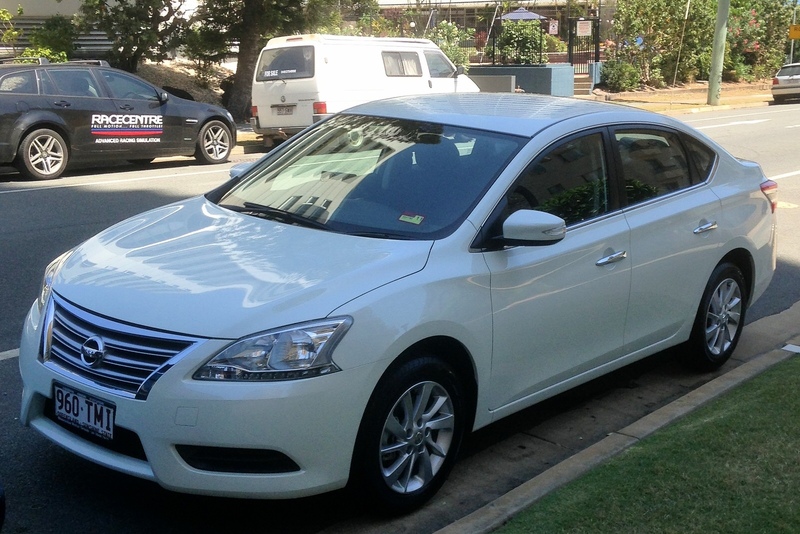 This little car is remarkably fuel efficient and I rarely fill it up more than once in a fortnight. 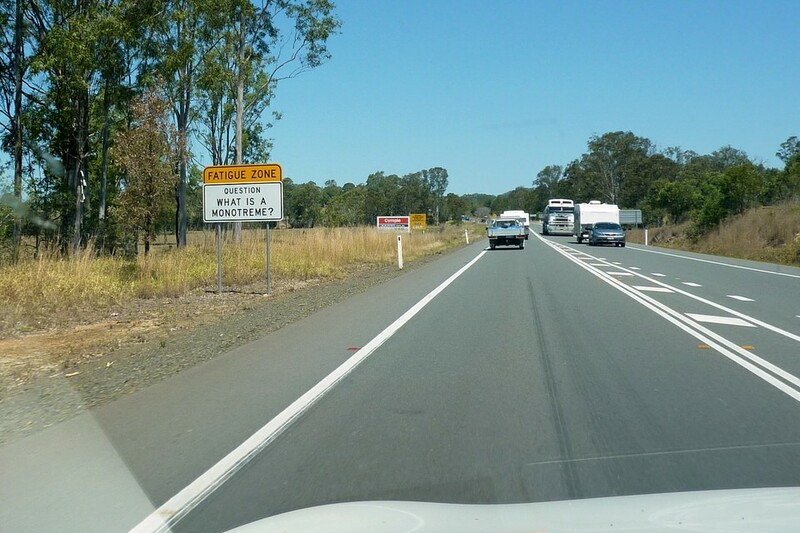 One of the longer road trips that we have taken was to 1770 and Agnes Water. Our trip home was 8 hours. The first few hours were on a single lane highway. 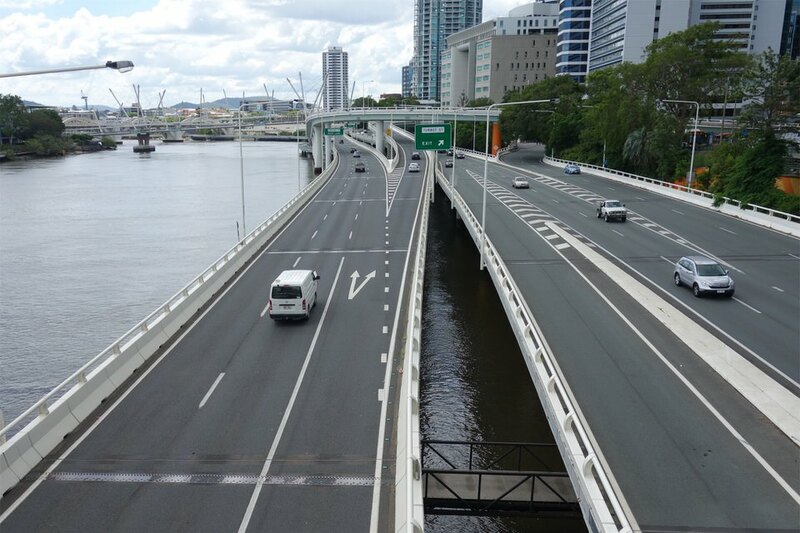 So, what does the Queensland government do to help drivers stay alert and safe on such a highway? Well, it provides entertainment in the form of a kind of road sign trivia game. 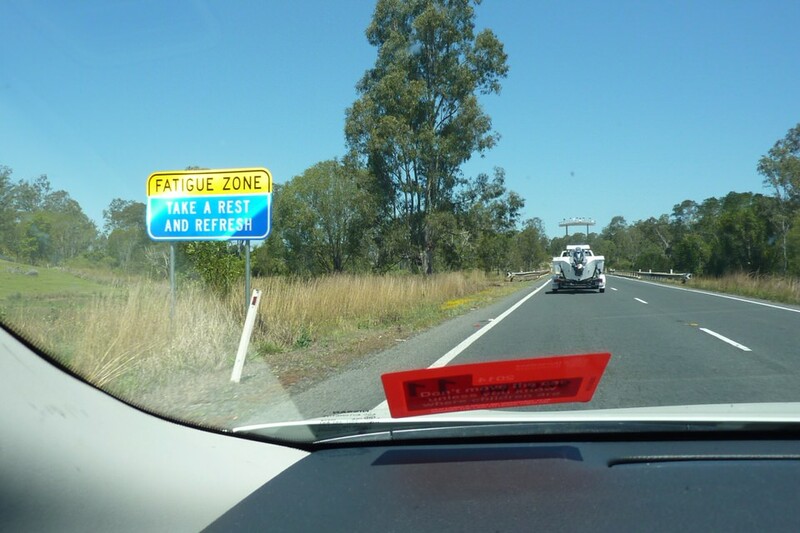 It also encourages pit stops, designed for the very purpose of keeping weary travelers awake and alert. 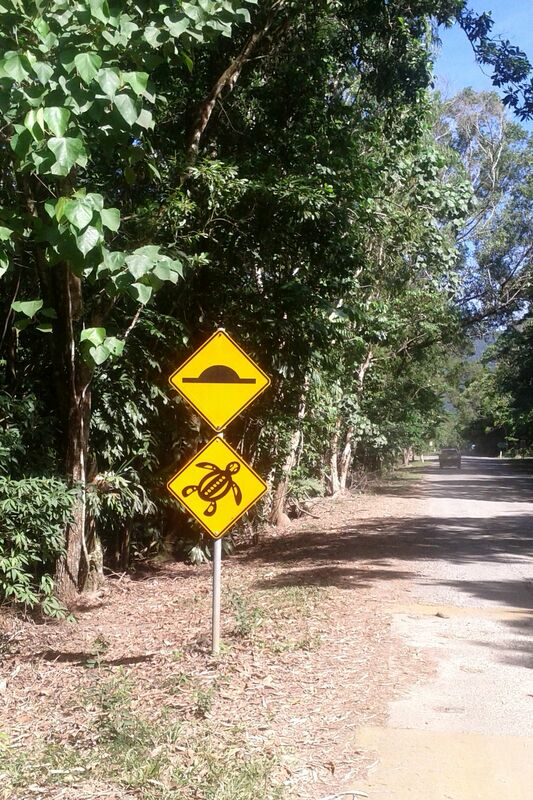 I’m including only a few of the interesting road signs. 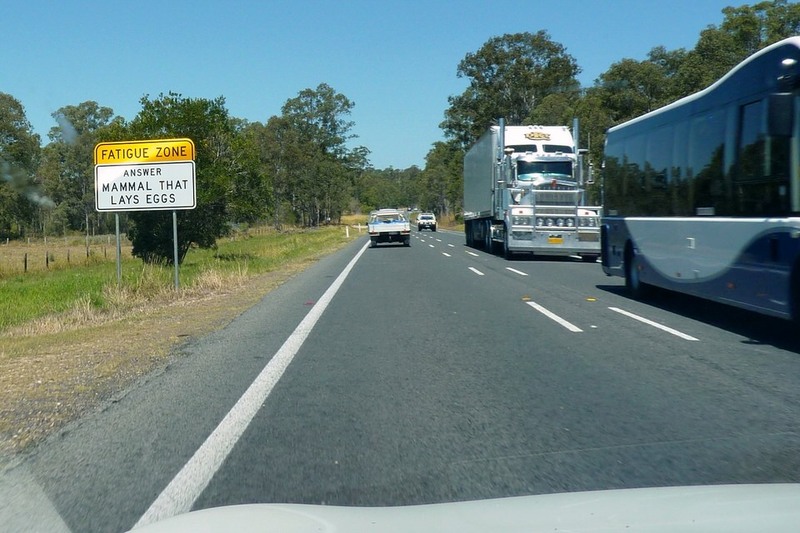 Just to make sure that the driver is encouraged to “Break the Drive, Stay Alive” and “Take a Rest and Refresh” – the Australian government also offers the ultimate “Driver Reviver” – Coffee! 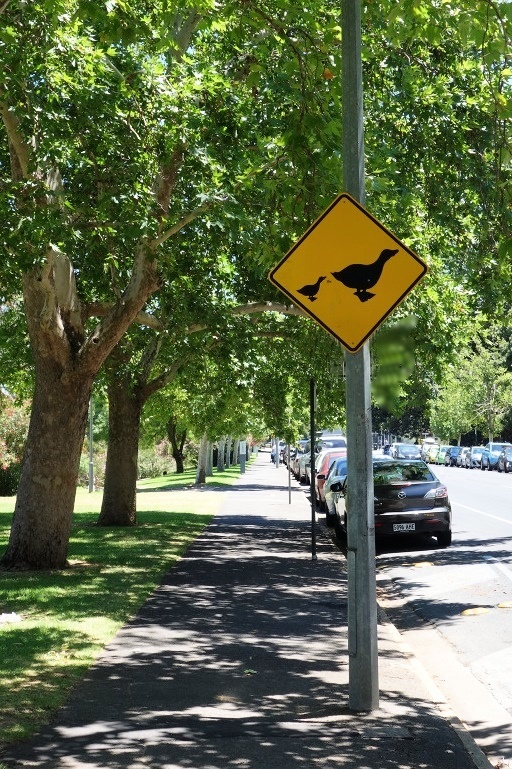 Australians have a wonderful sense of humour, which shows up in signposts in unexpected places. We can’t forget the animals. You definitely don’t want to run over the non-dangerous (lethal, toxic, aggressive, or poisonous) kind anyway. 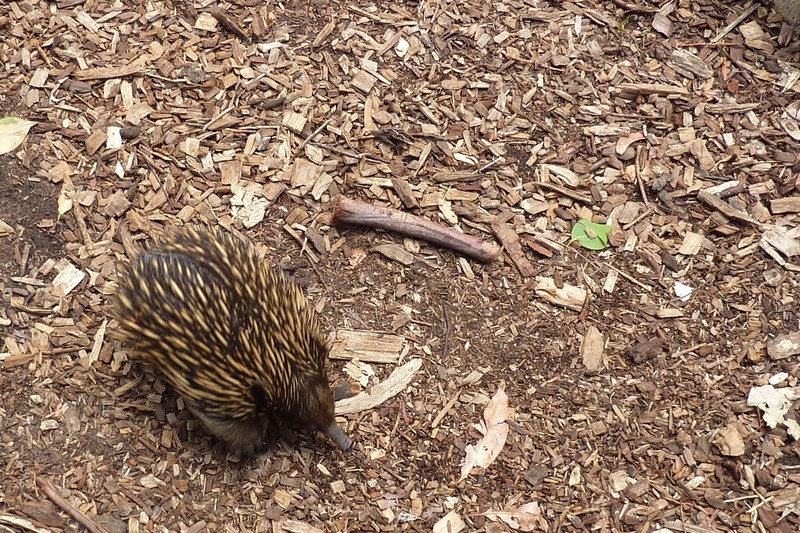 Roadkill is not a huge issue in our part of Australia. Tasmania, on the other hand, has more than its fair share. 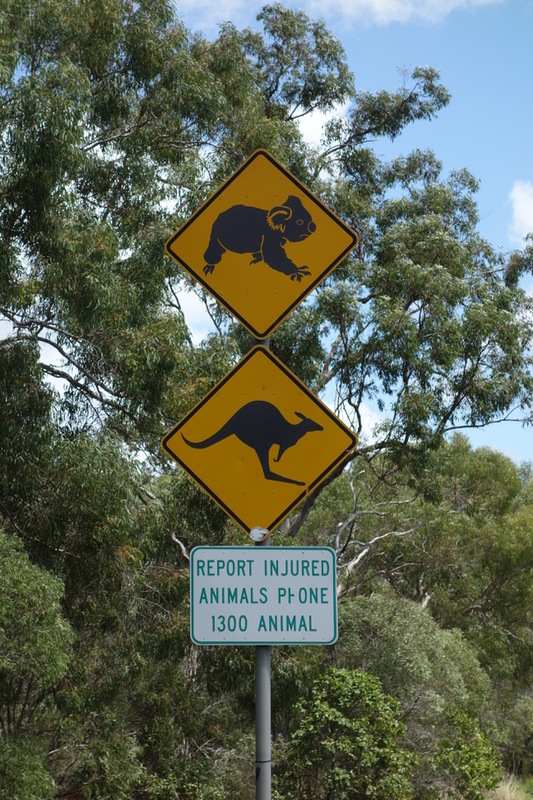 The most common sign is for kangaroos. Here is an unexpected one that I saw in Adelaide. 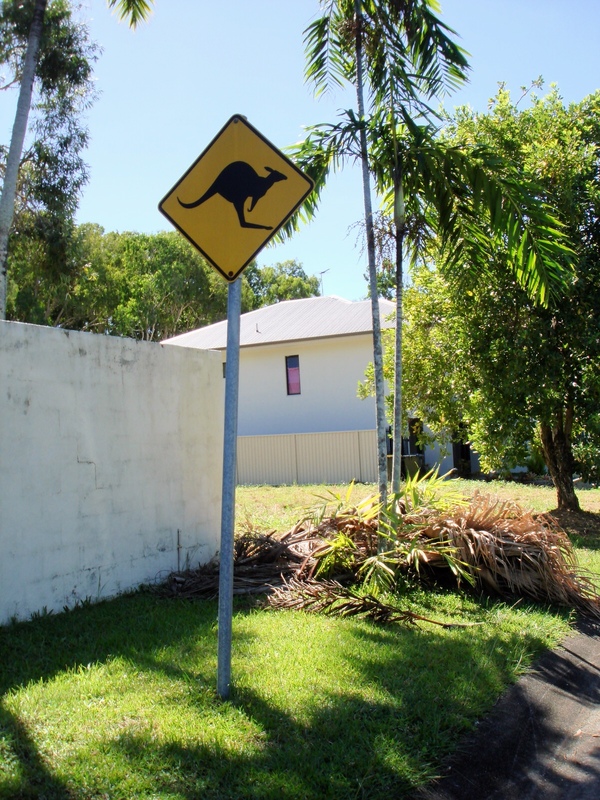 The most unusual road signs that we saw were in Northeastern Queensland, in the Daintree area. 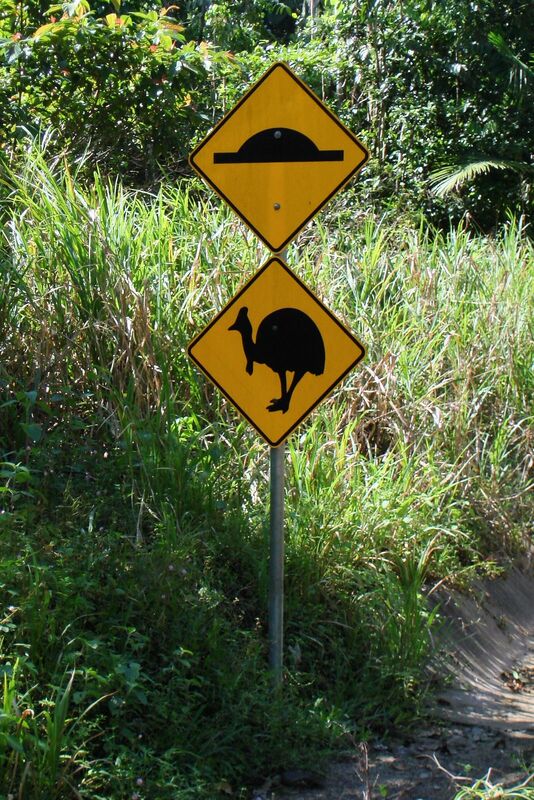 You will only find Cassowaries in the NE region of Australia. We had to cross the river at Mossman Gorge. While we were waiting for the cable ferry to take the car over, we stayed away from the banks of the river – largely due to this sign. 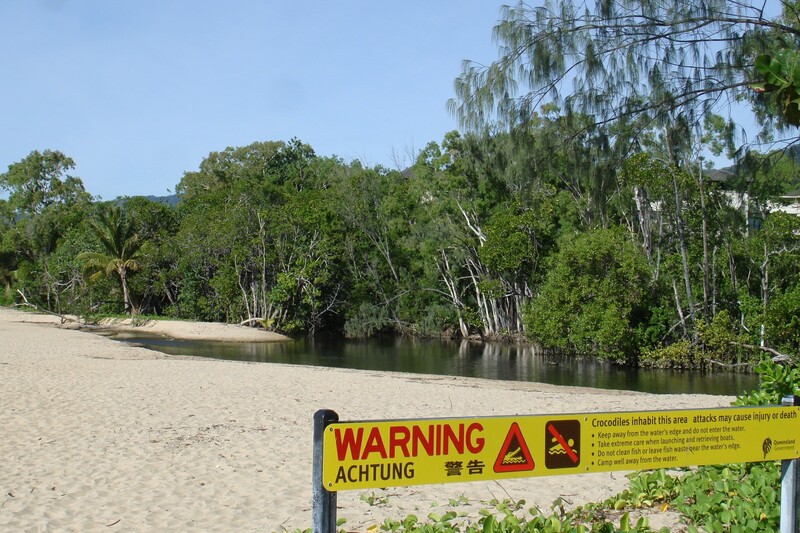 Achtung – Crocodiles inhabit this area – attacks may cause injury or death. 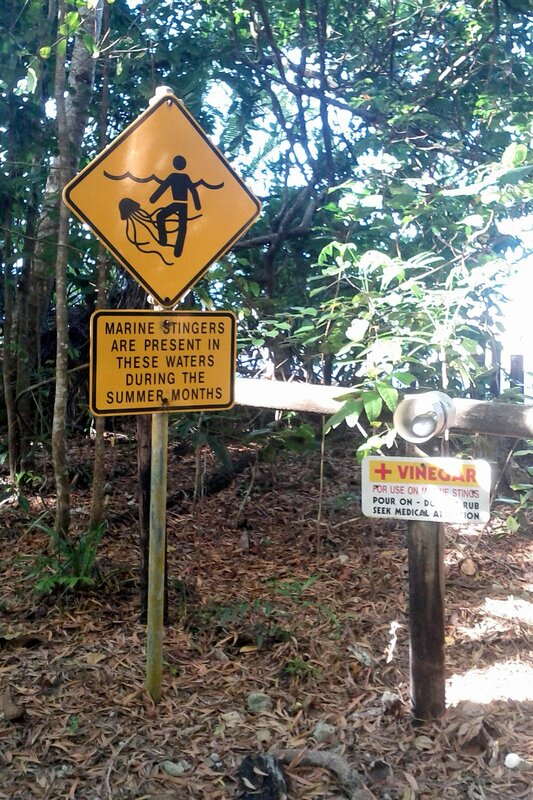 Crocodiles are not the only creature in the water that you need to be careful about. 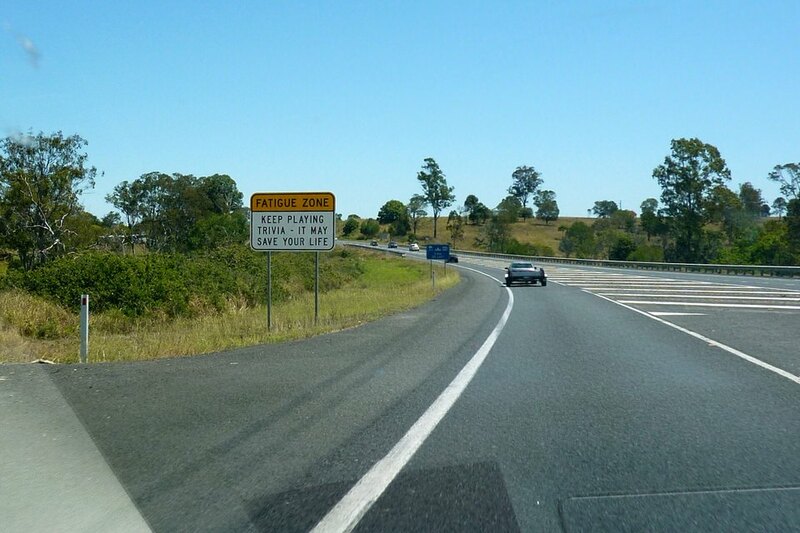 Although, technically, this sign has nothing to do with driving your car, I put it in here for the fun of it. 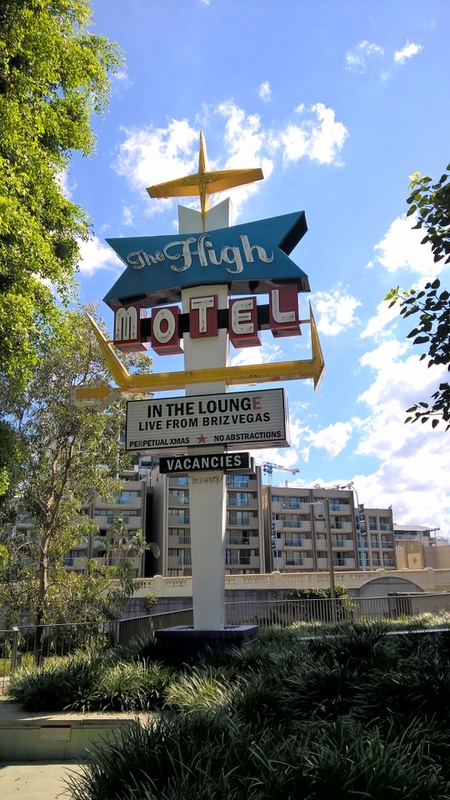 This final sign is not on a road either, but it could be…if the motel was real…which it isn’t. 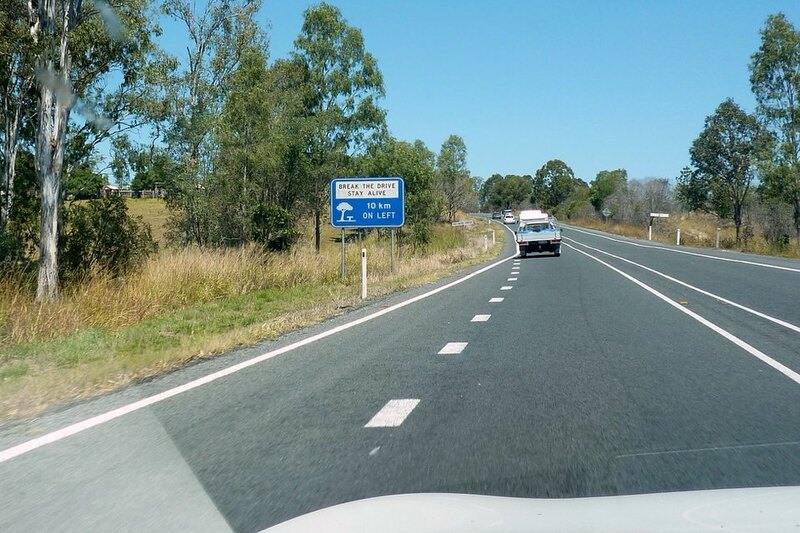 This entry was posted in Into the Countryside, Our Brisbane Life and tagged cassowary signs, crocodile warning, duck crossing, Echidna, funny signs, High Motel sign, koala and kanga crossing, road signs, stinger warning, turtle signs, u-turn. Bookmark the permalink.